Building something out of nothing isn’t a trait that began with YETI co-founders Roy and Ryan Seiders. Harnessing that can-do, hands-on spirit runs in their blood, and it started with their resourceful, entrepreneurial father, Roger. 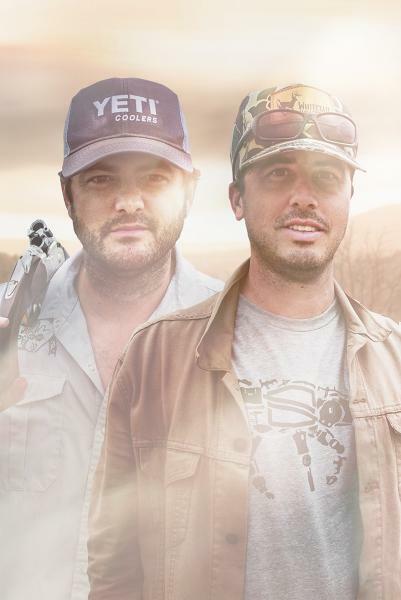 When Roy and Ryan burst onto the scene with YETI, they created a whole new market category — high-end, high-function, damn-near-indestructible coolers, made for, and by, passionate outdoorsmen. 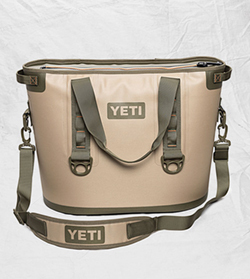 The Seiders brothers developed YETI coolers because they’re die-hard hunters and anglers. And over the years, they realized that they needed something better than what the market offered. They started tweaking the design of existing ice chests to make them more functional for their pursuits — creating what Roger Seiders described as, “a pile four-feet-deep of broken coolers” in the process. The brothers eventually arrived at the unique, rotomolded models they produce today. But let’s take a step back. In the mid 1970s, Roger was a shop teacher, showing Houston-area high school students how to work with their hands. He was also an avid fisherman, building and selling his own fishing rods. Roger often ran into one particular problem. There weren’t any good clear coats on the market to seal the thread wraps over the guides on the finished rods. Most tackle shops sold varnish, but it quickly cracked under constant multidirectional stress from casting and fighting fish. Roger was tired of seeing his superb handiwork ruined by lesser products, so he took it upon himself to solve the problem. “I kinda like to figure stuff out myself,” says Roger. Roger contacted an epoxy manufacturer and explained his predicament — he needed a finish that was clear, durable, and, most of all, flexible. He branded his new epoxy finish “Flex Coat” and packaged 36 two-ounce bottles for a local sporting goods store where he knew the buyer. Flex Coat went up on the shelves. Roger headed home without giving it much extra thought. The next day, he went back to work. After school let out, Roger stopped by the shop again. For over 30 years, Flex Coat has offered the best combination of properties found in a quality thread wrap epoxy finish. Superior leveling, outstanding durability, brilliant clarity and unequaled adhesion make Flex Coat the world’s #1 epoxy wrap finish. Soon, Roger had to make a tough decision. He had never quit anything before, but after coming home from a wildly successful tradeshow, his wheels were spinning. He decided to quit his teaching job and focus full-time on Flex Coat. He added more products to his line, and began bringing his four kids into the family business and having them along to outdoor tradeshows. For Roy and Ryan, two adventurous boys who already loved hunting and fishing, these events were a combination amusement park and rock concert. It was a chance to ogle the latest products and see their heroes in the flesh. “All the most famous fishermen would walk by, and then, about two feet behind ‘em, Ryan would be walking,” Roger recalled with a laugh. These early experiences with their father helped the two brothers build a familiarity with the industry and develop relationships that would, eventually, prove to be a huge boon. After nearly 40 years, Flex Coat is still an industry standard and Roger is still hands-on. That’s just the kind of man he is. Naturally, he passed that ethos down to Roy and Ryan. A lifetime spent working and playing with their dad ingrained into them entrepreneurial, resourceful spirits. YETI famously began from those boats. Roy and Ryan were unhappy with the low-quality coolers they were installing on their high-quality boats. They needed something, and they built it. Just like their dad’s Flex Coat, YETI was something the outdoor world was looking for. It’s probably safe to say that if it wasn’t for the two brothers’ upbringing as outdoorsmen and the entrepreneurial spirit instilled by Roger, people the world over would still have piles of broken coolers on their hands. Mention this to ever-humble Roger, and he’ll just shrug it off. But when asked about his sons’ success with YETI, Roger speaks simply, voice tinged with awe and a whole lot of pride. 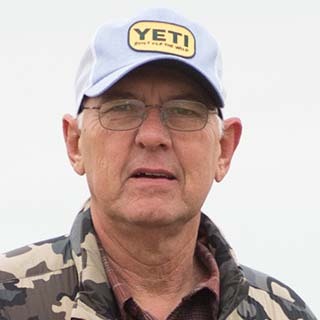 Roger Seiders gave sons and YETI co-founders Roy and Ryan the invaluable gifts of a can-do spirit, love of the outdoors, and dedication to family above all else.